1. You will lose your account. You will never get your account back. 2. All your earning in the account will be lost forever. 3. All your direct referrals will be gone. 4. You have to start with new account to get started again. 6. You might even have to pay fine or face court for the legal cases. 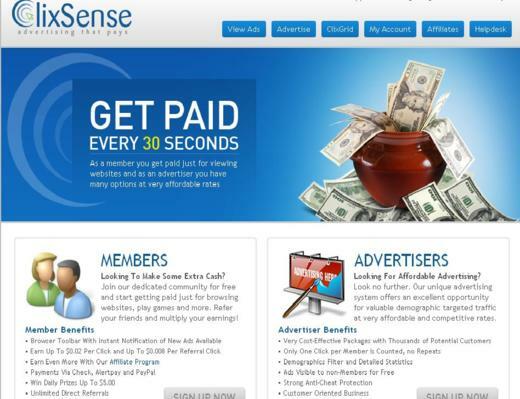 There are more than one ground under which Clixsense will directly suspend the account. If you are found below the age of 16 Clixsense will recognize you as in eligible member.This is the minimum age of eligibility in Clixsense. You must register with only one email address and one user name. If you are detected of using multiple Clixsense account,you will be directly suspended. Only one Clixsense account is permitted per household.Clixsense will detect the malpractices if more than one account is present with same IP address or multiple account from the same computer.So,use only one Clixsense account per computer. Any activity of fraud,defamation,harassment or abuse will result in the account termination. Failure to log in to the Clixsense account for at least once in 90 days will be responded by closure of your account.The account gets reactivated once you log in again,but all the amount you had in your account will be forfeited.The referrals will be intact.However, most of them may leave by changing their sponsor. Any attempt to rent or sell your account to somebody is against the terms and conditions of Clixsense.Such acts would directly led to your account termination. Clixsense do not allow you to change sponsor or remove affiliates. It might allow you to change sponsor in case the sponsor goes inactive. Other than that, it’s illegal. Clixsense provides task and offers whenever it is available. Trying other means like use of proxy server and VPN to access any task , offers and surveys are considered the act of cheat and you will have your account permanently suspended. All the Clixsense members belonging to Canada and USA are required to verify their address to receive their payment through PayPal. Failure to comply will have their account suspended. You cannot promote your referral link and banners in unsolicited emails,newsgroups or classified ad sites. This is the pure act of crime and Clixsense will at once terminate your account. Clixsense may even impose you fine or file legal case as spamming is a crime. Clixsense do not allow you to surf your account through proxy server and VPN. Clixsense wil automatically detect such settings and you will lose both account and earnings. Clixsense do not allow any of its content to be copied, modified or reproduced without any prior permission from Clixsense.Doing so would result in your account termination.Clixsense has its own logos and stats. You may use them In your blogs, websites and social medias but it must have backlink to Clixsense. Otherwise it’s illegal and Clixsense can only suspend your account. Find out how THOUSAND of people like YOU are earning their LIVING by staying home and are fulfilling their dreams TODAY.